Gather, a stunning row quilt. From easy patchwork and flipped corners to tube and curved piecing, the variety of techniques makes this an enjoyable project for the confident beginner and beyond. A bonus to this row quilt: use any of your favorite rows for a table runner! Hoffman Fabrics' Designer Bolt, All a Twitter (Sweetpea), makes finding the 26 different fabrics a breeze. 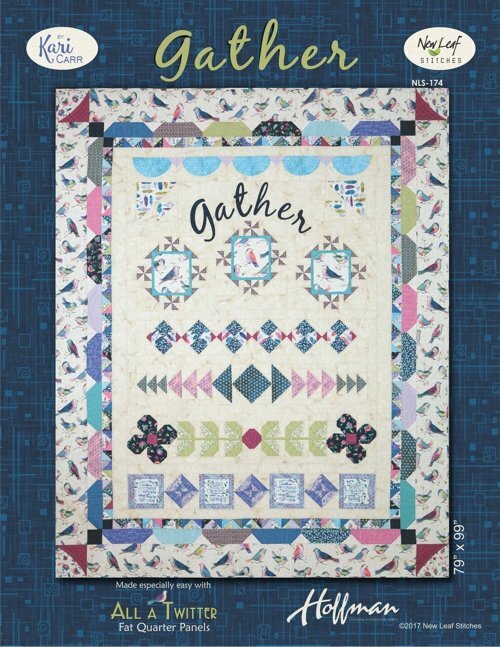 Or dig into your stash to create this stunning quilt everyone will want to Gather around.